Claudio Casadio graduated from the Accademia Antoniana di Arte Drammatica in Bologna in 1982. In the same year, he co-founded Accademia Perduta, a company now recognised by Mi.B.A.C.T. as Centro di Produzione Teatrale (Centre for Cultural Production). Claudio shares the company’s artistic direction with Ruggero Sintoni. From the onset of his career, Claudio Casadio has always worked at an intense pace. Already in 1982, he co-authored and performed in La fiaba dell’oro e del sapone (The tale of gold and soap) a pièce of Theatre for Children and Young People that now counts more than a thousand theatrical representations. In subsequent years, besides acting as both author and interpreter, Claudio has directed many productions created by Accademia Perduta of Theatre for Children and Young People. His productions are characterised by a distinctive style, where the focus is concentrated on fantasy, on magical, dreamy, evocative dimensions and the emotional involvement of the audience. In 2004, Claudio Casadio embarked on his first international tour with Hansel and Gretel, which, translated in many languages, travelled to French and Spanish destinations (amongst many: Madrid, Seville, Barcelona, Narbonne, Dijon, Nanterre, Brest, and Reims). During the ensuing theatre season, European theatres and festivals increasingly requested Hansel and Gretel for inclusion in their programs so that in 2008 the piece officially represented Italy at Theater/Teatro Theaterherbst in Berlin, an important festival organized by ETI in collaboration with the Italian Institute for Culture in Berlin. In 2004, Pollicino’s adventure began. A pièce written by Marcello Chiarenza and directed by Gianni Bissaca, that is now one of the most represented and most awarded shows of Casadio’s career. With Pollicino (Tom Thumb), Casadio has toured the most prestigious Italian theatres (to mention only some, Il Piccolo in Milan and the Eliseo in Rome). Pollicino has also been presented in translation in France, Spain, Switzerland and Portugal. In 2005, Pollicino was included in Teatralia’s program, the important Spanish Performing Arts Festival, going onto winning the first prize at the Momix Festival in 2007 in Kingersheim ( France) and in 2008 the prestigious Bigliettod’Oro AGIS ETI Award, as Most Watched Show of Theatre for Children and Young People in the 2007/2008 Season. As a widely recognised talent in European theatre, Claudio was invited to design, produce and direct the Spanish versions of both The Bremen Town Musicians (Los musicos de Bremen) in 2008 and of The Magic Piper (El flautista de Hamelin) in 2009. In 2009, Claudio participated to the Spoleto Festival’s 52nd edition with an Anthology of Accademia Perduta’s best productions of Theatre for Children and Young People. In addition, that same year Claudio made his cinema debut as the main male character in Giorgio Diritti’s L’uomo che verrà, a film featured in the fourth edition of the Rome International Film Festival. The film received the Grand Jury Prize, the Marco Aurelio d’Oro (the audience award), and the “La meglio gioventù” award. The movie also gained the David di Donatello for Best Film. In 2010, Claudio took part for the first time in the prominent international event Festival 2Mondi in Spoleto (the International Spoleto Festival) with L’Orchetto, performing with Daniela Piccari, with Marcello Chiarenza as director. The same year he was guest of the XXIV Edition of the VolterraTeatro Festival-I Teatri dell’Impossibile, within the context of a project focused on his journey between his theatrical and cinema work. In the summer of 2011, Claudio presented Pollicino and L’Orchetto at the 21st edition of the Ravenna Festival in new original versions never presented before, where the soundtrack composers played their music live on stage for the occasion. Always in 2011, Pollicino participated to the 54th edition of the Spoleto Festival as well as to the Molfetta Festival “Ti fiabo e ti racconto” where Pollicino won the “L’Uccellino Azzurro” Award. Claudio continued his cinema work with a role in Romanzo di una strage, a 2012 film about the Piazza Fontana bloodshed, directed by Marco Tullio Giordana. During the 2012/2013 and the 2013/2014 theatre seasons, Claudio was main actor together with Giulio Scarpati in Oscura Immensità (Dark Immensity), a co-production by Teatro del Veneto and Accademia Perduta/Romagna Teatri, written by Massimo Carlotto and directed by Alessandro Gassman. Between 2014 and 2016, Claudio was the leading actor together with Pamela Villoresi in Il mondo non mi deve nulla (The world owes me nothing), a co-production by AccademiaPerduta / Romagna Teatri and Teatro e Società, text by Massimo Carlotto, direction by Francesco Zecca. In 2015 Claudio joined the cast of Bella e Perduta (Beautiful and lost), a film by Pietro Marcello, presented to the Locarno Film Festival. Over the course of the 2015/2016 and 2016/2017 theatre seasons, Claudio acted with Giovanni Anzaldo and Fabio Bussotti in Mar de Plata, a co-production by Accademia Perduta and Società per Attori, text by Claudio Fava and direction by Giuseppe Marini. The production received the 2016 Premio Speciale Persefone “Carmelo Rocca”, an awarded as “Best Contemporary Piece”. 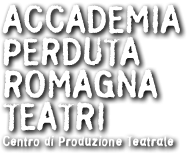 In 2016, Claudio was Artistic Director of the Advanced Professional Course “Attore-Autore” (Author-Actor), funded by the Emilia Romagna Regional Government and the European Union Social Fund, and produced by AccademiaPerduta/Romagna Teatri, Demetra Formazione and La Baracca –Testoni Ragazzi.